We have a modern well equipped clubhouse that was completely rebuilt in 1996. There are full changing facilities with hot showers, (who said a hot shower was the best bit of a winters afternoon sailing!). All the facilities were designed for disabled access and we welcome all members, disabled & able bodied. The main sailing season runs from April to November, with racing on most Sunday afternoons and Thursday evenings during the summer months. A Race Start is possible through the winter months and this year we introduced a Frost-Bite Series right through the Winter. Lasers, Streakers and Toppers are currently the classes sailed at the club, but there are also Picos, Tasars, Wayfarers, Scorpions and Miracles among others regularly sailed at the Club. Any type of dinghy can be raced, on a handicap basis. Safety cover is always available when racing is taking place. (i.e. Sunday afternoons and Thursday evenings). The Rescue Boat is also available at other times but without a formal rota to provide a driver. Sailing Instruction is available for those new to the sport, also information for those who decide to try their hand at racing. We arrange several Saturday sessions during the season especially for beginners. Advice on buying a boat is available from members and there are usually second hand boats available for sale on the club notice board. 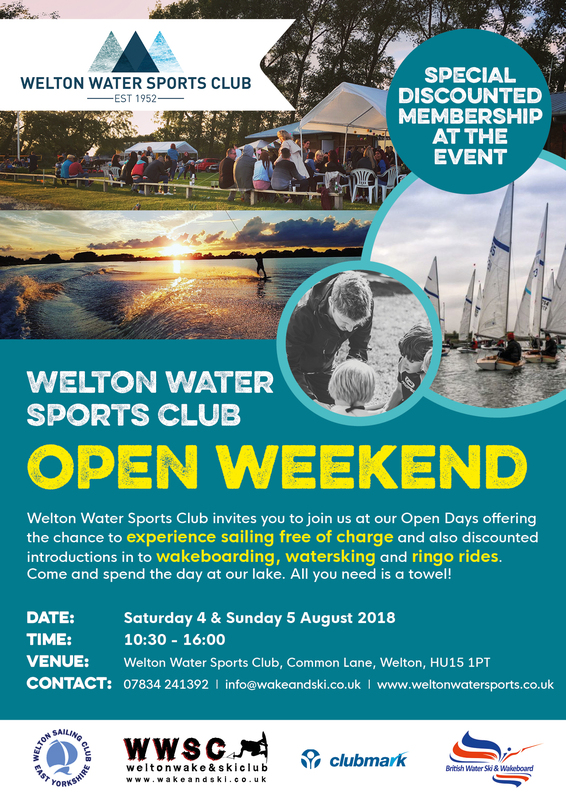 We share the water with the Yorkshire Water Ski Club and both water skiing and wind-surfing can be arranged for members. A number of social events are organised throughout the year, from BBQ’s and Barn Dances to a simple get together in the pub for a meal and chat after an evening sailing. The club holds the annual Laying Up Supper and Prize-giving at the end of the season, and then monthly social events are arranged during the winter months.